Does a given intervention have a meaningful effect on patient outcomes? Does this population make sense/generalize to your patient population? How were the patients selected? What were the inclusion/exclusion criteria? How long were patients followed? Who was lost to follow up and why? Derived from the Risk Difference – a measure of the actual difference in risk between experimental and control groups. So in the above example, the risk difference is 0.053-0.013 = 0.04. The number needed to treat is the inverse of the risk difference (1/0.04 = 25). This means we would need to perform 25 appendectomies to prevent one wound infection (this is a fairly high NNT – we can assume that appendectomies are probably not protective against wound infections). The number needed to harm is the opposite of the NNT how many people would we have to treat before we harm one. A range of values that is likely to encompass the true value. We typically use a confidence level of 95%; this means there is a 95% chance the calculated value lies within the confidence interval (but a 5% chance it doesn’t). 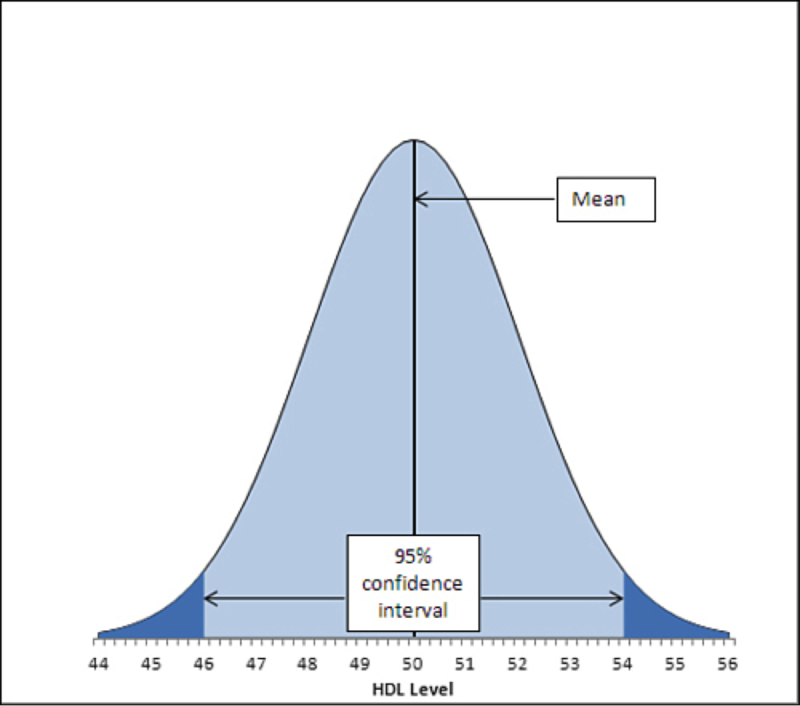 The confidence interval is graphically depicted by a standard bell curve, with the center being the 95% confidence interval and the two outlier sections being the 5% of possible ranges outside the confidence interval. The precision of a given confidence interval is directly related to sample size.